The 3V Gear Posse EDC Slingpack is a high quality, rugged pack perfect for everyday. The the 600 Denier PVC backed polyester shell will hold up to the severest of action and adventure. The compact posse EDC was designed to move with its wearer having padding in all the right places, multiple pockets for quick and easy access and ambidextrous shoulder sling. 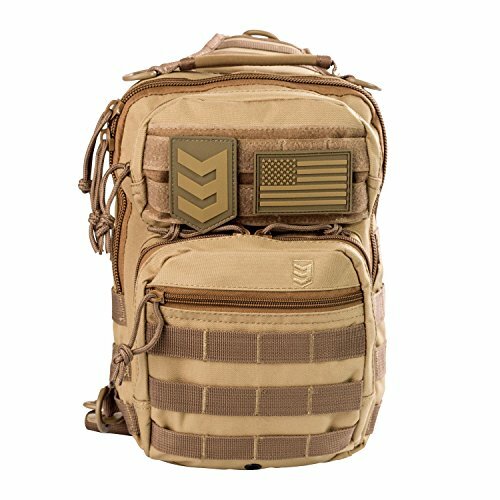 In case you’re wondering, EDC stands for “every day carry.” Just like it’s name, this bag is meant for you to take it anywhere, and it can handle a beating. 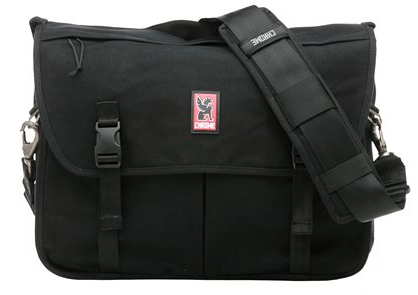 This bag features rugged 600 Denier PVC nylon and is loaded with hidden pockets. This bag is originally designed to carry a concealed weapon. However it has many other practical uses, and if you don’t mind the tactical ‘look’ of the bag, you can take it with you everywhere and conveniently access your stuff. It’s also hard to beat for it’s price point – it’s only $29.99. 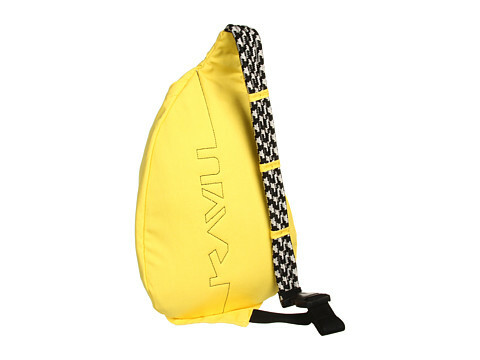 The bag would be great for fishing, since you can use it to carry your tackle and gear that you swing it around when you need it, allowing you to be hands free. Buy it for only $22.46 on 3V website. I was able to get three guidebooks, a bunch of snacks, my wallet, keys, sunscreen and a 500 ml water bottle inside. 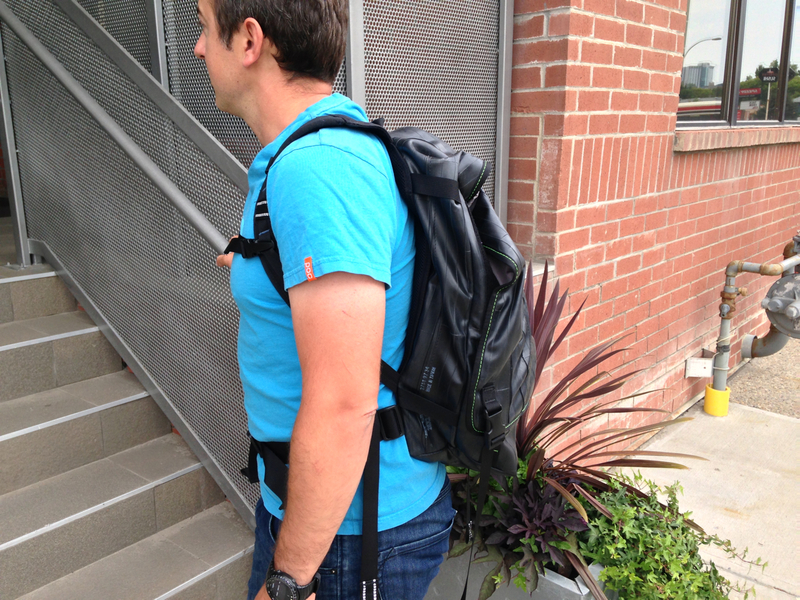 An impressive amount of gear fits into this small bag, and is remarkably comfortable to carry. The back and the shoulder strap are nicely padded. It’s useful for any situation when you need to be hands free. Shoulder strap detail showing the chest stabilizer strap and D rings. The front of the bag features two medium pockets. 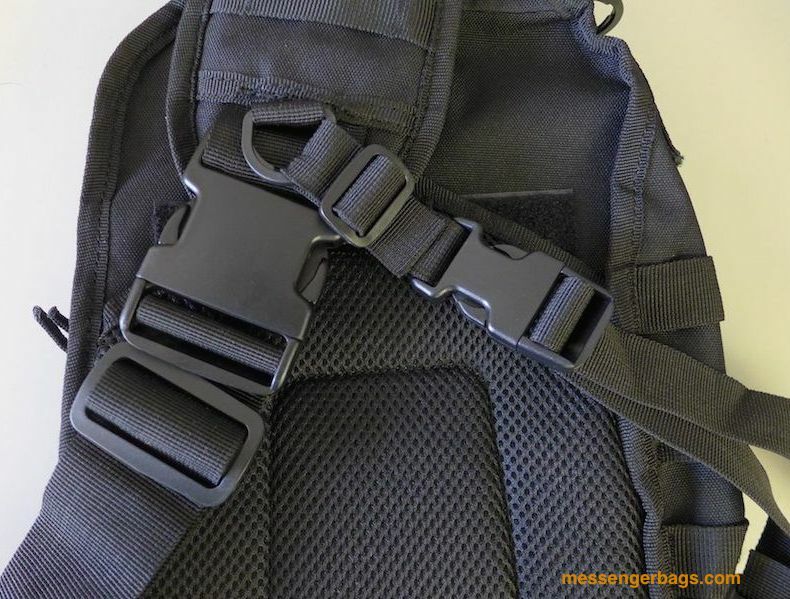 The topmost one has a velcro cover that is originally designed for ‘morale patches.’ Morale patches are patches with velcro hook backing, and these can be applied to the velcro to wear on your backpack. 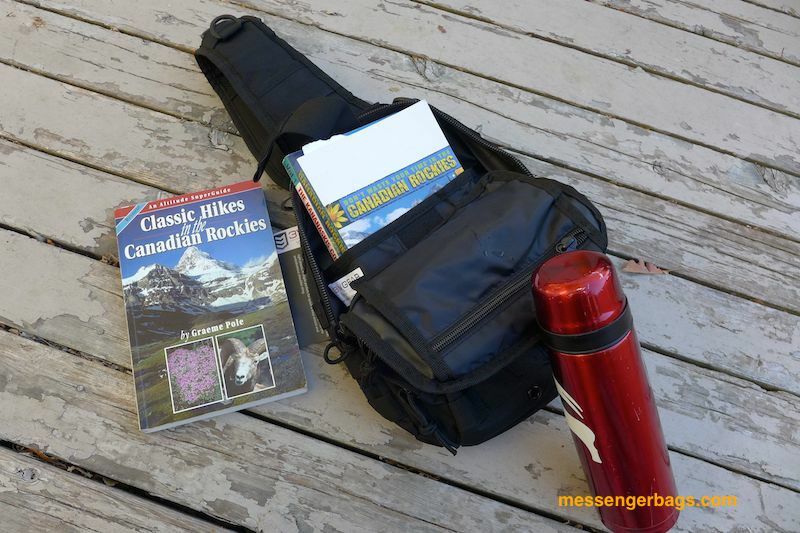 Three big guidebooks and thermos made it in, with room to spare for a sandwich. 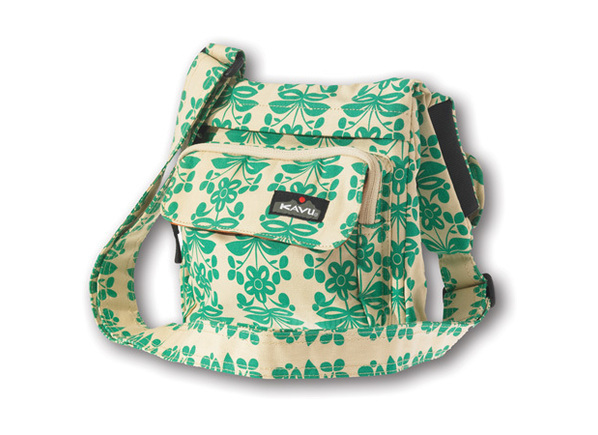 The shoulder strap is nicely padded, so it’s great when you’re carrying a heavy load. It has two D-rings, and a thick buckle for quick release. The buckle has a nice satisfying click when you pop it in. It also has another D-ring on top of it, and length adjustment on the strap. There is also an elastic tab which can be used to keep the strap from slipping. The strap is also lined with several chords which you can use to attach things to, for instance, clip with a carabiner, like keys. The shoulder strap and back are nicely padded. The bag has three main compartments. There are two medium ones, one large main compartment and a sleeve on the outside that rests against your back. The back sleeve is a great concealed pocket, for things you want to hide but have access to. The hidden compartment is closed with a snap closure and with a D-ring on the top. Each of the three main compartments has many small pockets inside. The main compartment for example, contains a sleeve which can be used to hold your iPad or tablet against your back. There is an opposing sleeve that can be used to stash your power cord, cables and other items. The bottom of the bag has a metal grommet that is used to drain the pack in case water gets inside. The main compartment of the bag opens only about three quarters, which is not that convenient if you are flipping the bag around from the back to have access at the front. It makes reaching the items inside a bit awkward. Most of the comparable bags have zippers all the way down at least on one side. Swing the bag around to get access while it’s still on your back. 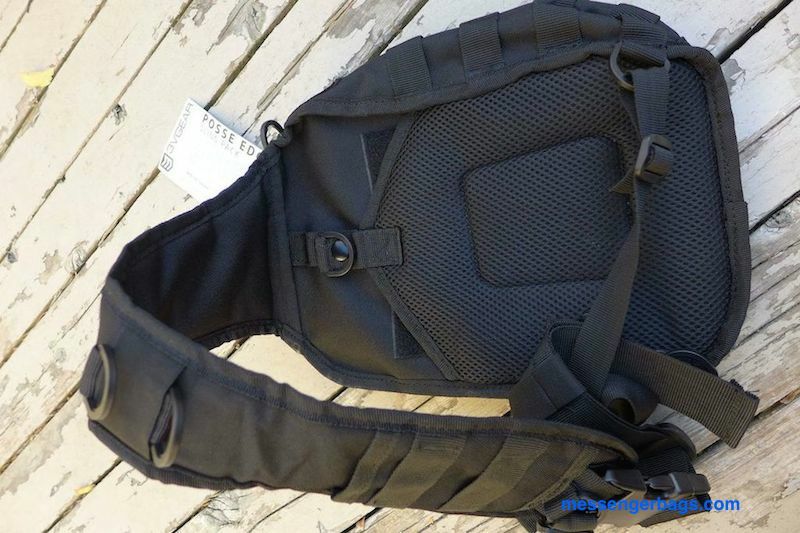 Along the top, there is a carry handle which has a nice neoprene cover on it. The handle has two D-rings to the side of it. The neoprene handle is really nice to have. Each larger pocket features many small zippered pockets or sleeves throughout. This makes it great to stash individual, small items such as wallets, cell phones, headphones, snacks, lip balms and things like that. Side view showing the side buckle. There is more elastic webbing on the inside and a lanyard inside for your keys. Price. This bag is priced under $30, and it is virtually impossible to find anything with similar quality and holding capacity for the price point. Nothing really comes close for the quality at this price. Adaptable. 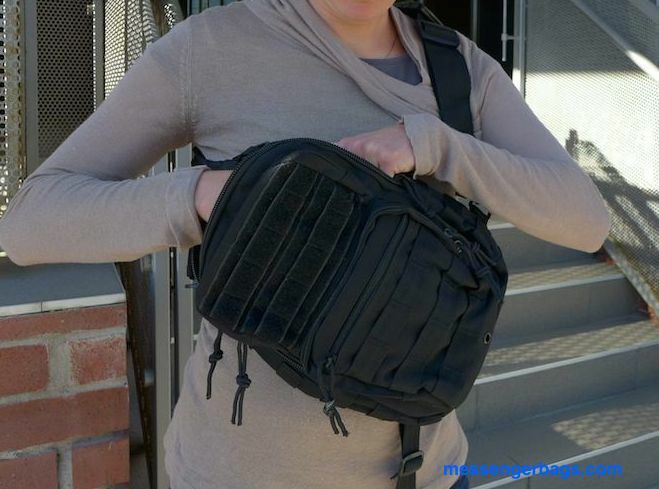 You can carry the bag on either shoulder, and secure it with a side sternum strap. We really like this feature. 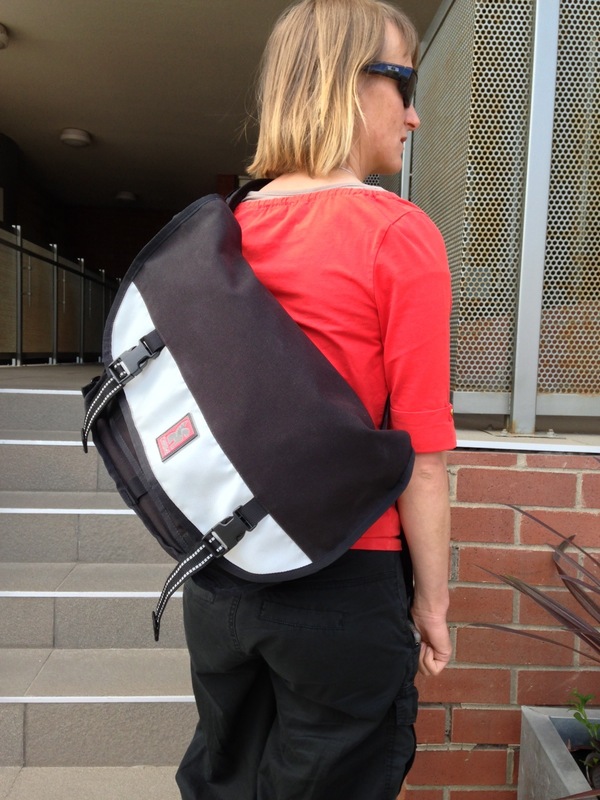 Convenient Fits needs for a small bag, cheap, convenient bag that is robust and great for everyday use. Lifetime Warranty. The bag, like all bags by 3V, are backed by a lifetime warranty, so you never have to worry about your bag falling apart on you. Small main opening The bag doesn’t open up fully, only about three quarters of the way down, which makes reaching stuff from the main compartment difficult if you are swinging the bag from the inside. Lots of grommets Unless you like them and plan to use them, all the outside straps make the bag look a bit busy. Look It’s not the nicest looking bag, the look is quite utilitarian. Though, this is more of a personal preference thing and not really a true disadvantage. Due to it’s price, there are few disadvantages that I can see with this pack. Of course it won’t be as fancy construction as a bag with a $100 price tag, but you simply cannot argue with that price, particularly when it’s backed by a lifetime warranty. This bag is recommended. It is simply hard to beat for the value! There is nothing in the price class that matches the quality. Right now this pack is 25% off. Buy it for only $22.46 on 3V website.